Schedule a Private or Group Class 203-929-9414 debshealthyplate@gmail.com Classes are held at Deb’s Healthy Plate 32 Woodfield Dr. Shelton, CT 06484 OR ask me about coming to your work place or Community Center. 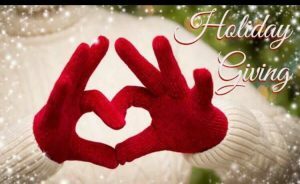 The BEST Gift you can give or receive is the Gift of Better Health. You can purchase Gift Certificates by phone 203-929-9414 from Deb’s Healthy Plate / Metamorphosis Body Mind Spirit in any $ amount for any of my services NOW. I will send you the Gift Certificate as an email attachment with the receivers name on it. The next Group Class is: CHOOSE A Date that works for you and Me at Deb’s Healthy Plate/Metamorphosis Body Mind Spirit: 32 Woodfield Dr. Shelton, CT 06484 $30. Private Class for one person $75. Spring or any season can be the season of renewal, a fresh start, a new beginning, which makes this time of year perfect for a gentle detox that will reset your body and mind while priming you for getting your healthy back. Whether you overdid it over the holidays, are feeling bloated or achy now, want to lose a few pounds or just feel better in your body. You will definitely feel better after this 3 Day Plan which you can do at your convenience after I explain it to you. Spring is not the only time our bodies need a detox. If you are feeling bloated, sluggish, have brain fog or just need to get back on track after a vacation or the holidays, your body will benefit from a detox/cleanse. 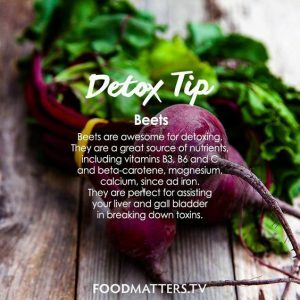 Detoxifying through your diet doesn’t have to mean fasting, and if done periodically, is one of the best ways to maintain lasting health and wellness. 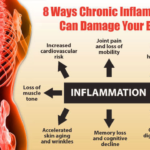 Inflammation is the root cause of most diseases such as: Arthritis, Heart Disease, Asthma, High Blood Pressure and more. 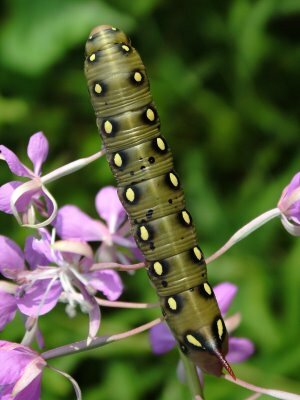 Find out what you can do to reduce or eliminate inflammation in your body in this 90 minute class at Metamorphosis Body Mind Spirit/Deb’s Healthy Plate. 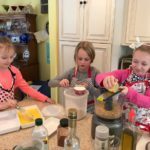 DECEMBER SPECIAL: Children’s Cooking Classes $25 every Saturday in December!!! Join me Saturday, August 2, 2014 from 2:00 to 5:00 at my home/office 32 Woodfield Dr. Shelton, CT 06484–203-929-9414. I will read a section of my book ans sign all books purchased. BriefingWire.com, 7/11/2014 – My daughter and I were both diagnosed with autoimmune diseases. Through better food choices and lifestyle changes, we were able to overcome debilitating aspects associated with the diseases of Lupus and Hashimoto’s disease. My background as a Nutritional Health and Life Coach and Personal Chef, gave me the opportunity to treat our diseases naturally and holistically with whole foods and healthier meals. The role of your immune system is to protect you from disease and infection. With autoimmune diseases such as Lupus and Hashimoto’s, your immune system is confused and attacks healthy cells in your body. There are over 80 types of autoimmune diseases, but all involve inflammation, so foods and diets that lessen inflammation are helpful in controlling these disorders. Let’s face it many of us don’t eat healthy. Many people are not even sure what it really means to eat healthy. I used to work for a weight loss company and thought I was eating healthy. We walk up and down the aisles of the supermarket and see “Healthy”, “Fat Free”, “Gluten-free”, “Lean”, “Sugar-free” and the list goes on. Don’t be fooled by the labels. 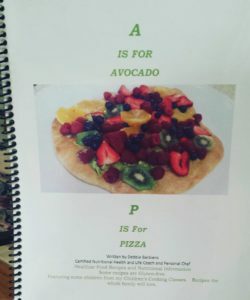 In my book I teach you how my daughter and I reclaimed our health and I have included many healthy and delicious recipes the whole family will love from breakfast to dessert. 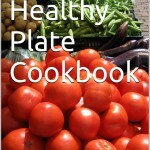 This book is so much more than a cookbook! * What Is A Health Coach? * It May NOT Be What You Are Eating. 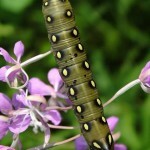 It May Be What’s Eating YOU! * Should You Use Grape Seed Oil or Olive Oil? * Close to 100 recipes for Breakfast to Dessert your whole family will love from eggs, to grains, soups and salads, chicken, turkey, beef and fish and several gluten-free meals. If you are unable to attend the Book Reading and Signing Event on August 2, 2014 from 2:00 to 5:00 call me to pick up a book or I can mail it to you anywhere in the U S.
The 8 1/2″ X 11″ Spiral Bound book has full color pictures. It is $30.00 with $1.95 tax a total of $31.95. If you would like me to ship the book send me a check for $37.00 (which covers the tax and shipping) and the address and name of the person you would like it shipped to. I will sign it before I ship it. I have written 3 EBooks which are on Amazon. 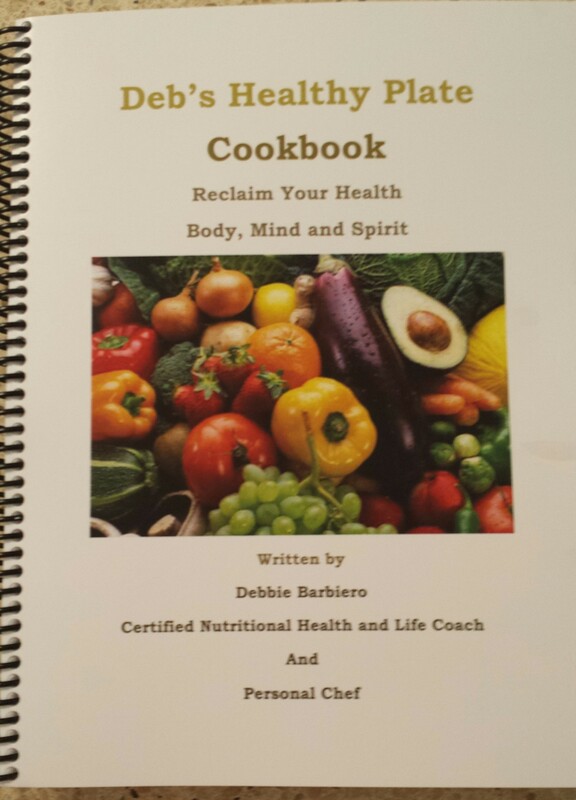 Now I finally have a printed book, DEB’S HEALTHY PLATE COOKBOOK-Reclaim Your Health Body, Mind and Spirit. 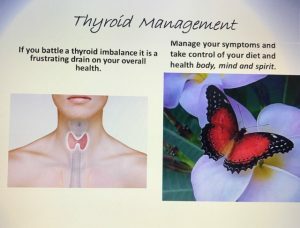 My daughter and I have both battled autoimmune diseases for years (she with Lupus and me with Hashimoto’s disease )We are both living healthy now without medication through diet and lifestyle changes. 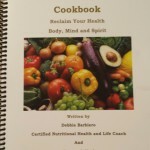 The book is loaded with nutrition information and what is working for us and my clients. It is loaded with many of my own recipes that I prepare for my family and my clients. I also include a section on juicing. Feeling healthy and feeling good about yourself is not a luxury–It’s an absolute necessity! 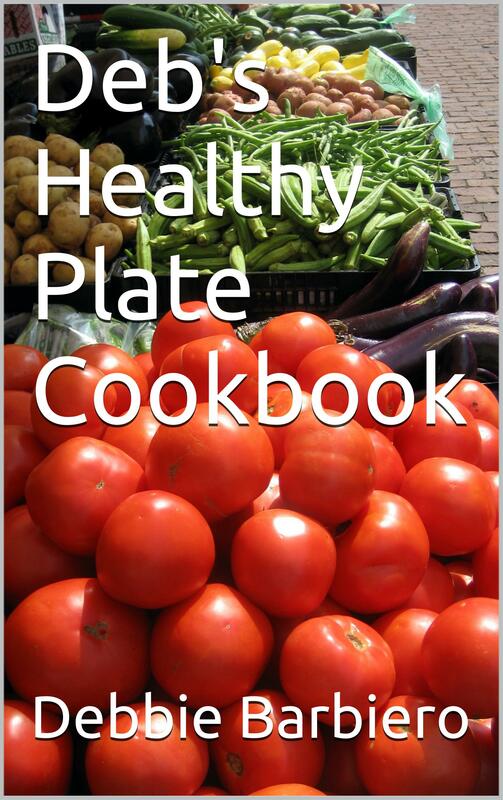 Deb’s Healthy Plate Cookbook are now available on Amazon Kindle. If you don’t have a kindle you can also download them on your iphone or laptop computer. Printed copies will be available in late June along with a book signing party. December Special: $5.00 off each of my printed books. You can purchase them directly from me by picking them up at my home office or call to have them shipped. 203-929-9414. I take Credit Cards.